and to deliver the highest quality products in your beauty treatments. and tighten the skin naturally without surgery or downtime. where serious skin care meets a tranquil retreat. The Non-invasive Lift - Ultherapy is the only non-invasive procedure FDA-cleared to lift skin on the neck, under the chin and on the eyebrow. Now also FDA-cleared to improve the appearance of lines and wrinkles on the décolletage, Ultherapy can help you achieve a fresher, more youthful look from your brow to your chest! At Midwest Skin Institute in Evansville, Indiana, our mission is to give you the finest service in skin care, to deliver the most recommended and highest quality products and only to use the latest cutting edge technology in your beauty treatments. To see the products we offer click below. Discover Midwest Skin Institute in Evansville, Indiana, where serious skin care meets a tranquil retreat. A place where clinical treatments and cosmeceutical products address aging, acne, rosacea and pigmentation disorders. A place you visit for results and return for renewal. Look Your Best with Midwest Skin Institute! 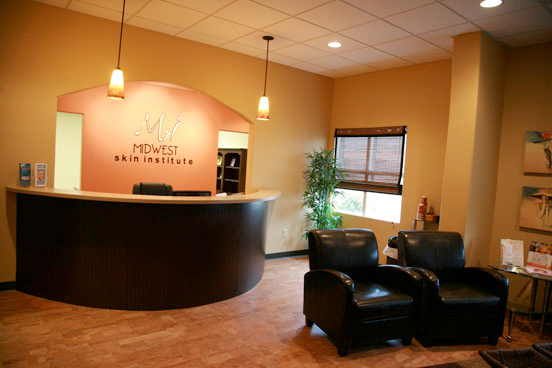 Welcome to Midwest Skin Institute! The goal of Midwest Skin Institute is to offer skin care in Evansville, Indiana, along with minimally invasive cosmetic services and medical care directed at the prevention and treatment of aging health concerns. A comfortable and non-threatening facility provides the client a unique and inviting wellness center in which to discuss cosmetic issues. Midwest Skin Institute in Evansville, Indiana is where serious skin care meets a tranquil retreat. A place where clinical treatments and skin-health products address aging, rosacea, acne and pigmentation disorders. A place you visit for results and return for health, beauty and renewal in Evansville, Indiana. A tranquil environment where you can escape from your hectic lifestyle and feel rested, renewed and rejuvenated. Visit Midwest Skin Institute where the search for healthy, beautiful skin begins! It doesn’t matter if you like them arched and feathered or straight and bold, eyebrows are arguably the most important facial feature. If you’re not satisfied with the ones there’s a very natural option that delivers semi-permanent results. 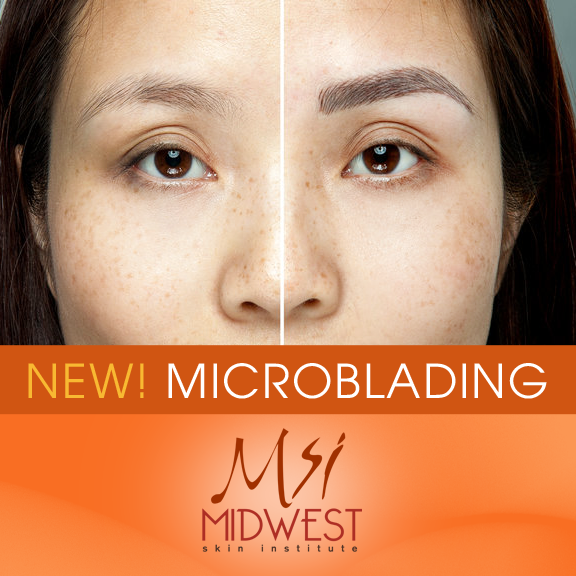 Ladies, we’d like to introduce you to microblading at Midwest Skin Institute. Unlike the sometimes Sharpie-esque effects of permanent makeup, microblading is more of an embroidery of strokes that look just like real hairs. Microblading is perfect for those who want to fully reconstruct, define, cover gaps, or fill-in over plucked brows. Click to schedule your appointments today or call us at 812-491-MPSA.